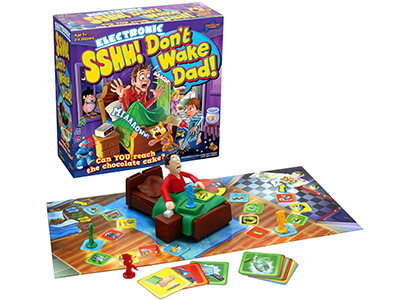 "These board games are so much fun, they keep the kids quiet for hours." We hope you have been enjoying the wonderful October sunshine. What a week to be out and about. It seems that everyone agrees, London has been RAMMED. Yep, the secret's out, everybody loves our capital. 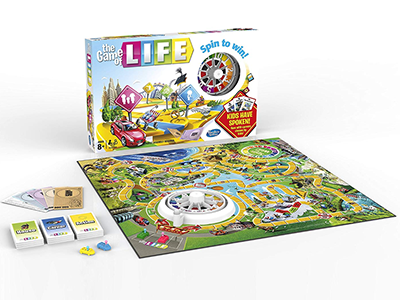 When you need a break from dodging backpacks on the tube, gather the family for a bonding board game. There are plenty more where they came from on the app. Happy Halloween! If you missed our Pumpkin edition a few weeks back, here it is with carving, recipe and decor tips. 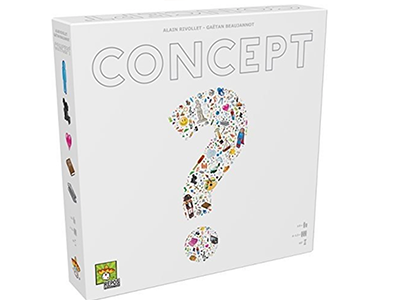 A strategy game for "cognitive and spatial recognition, planning and interpersonal skills". We're not sure the kids will know this, they'll be too busy having fun. Recommended by a mum of 2. Adults love it too. Silly game for all ages. "It's a race past snoring dad to get to the cake in the fridge before he wakes up, sending players flying," tips this parent. One to gift kids whose dads like chocolate. The manufacturer's recommended age is 8, although we do know bright 6-year-olds who enjoy this. Takes a little practise, but the variety of life choices will soon give you an insight into your little players' minds. 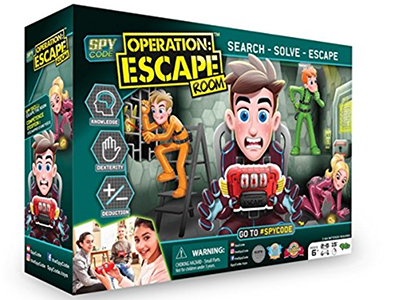 Quick to set up and half an hour to play, says a mum of a 10-year-old. A big tick for efficiency. The colourful scenes teach children about the ancient spice trade between Africa, Europe and Asia. A 3D puzzle for strategic thinkers. 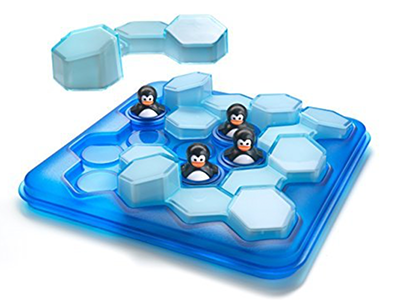 Pick a card, there are 60 challenges, and copy the design using blocks of ice, leaving room for the penguins to swim. 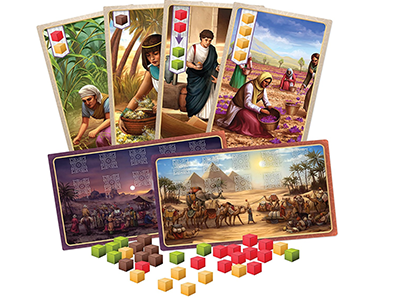 "Beautiful, challenging and a perfect travel game," writes a mum of 2. Step this way to earn, spend, invest and make your fortune. 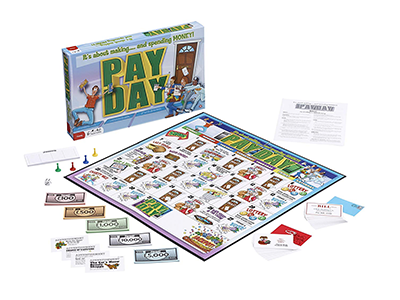 Early lessons in money don't get more fun than this – it's even more addictive than Monopoly. "Good for maths training," says a dad. Survivors, walkies, fatties... you get the picture! Well crafted, well made, with a variety of missions to tackle. Older kids will happily while away a few hours immersed in their favourite fantasy worlds. Take over the world! 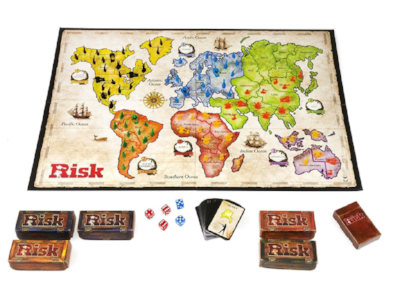 Play the cards you've been dealt to conquer countries, using your armies. "Genuinely captivating," says a dad of 3. "Beware the new themed version," he advises (it's too fiddly). Follow our link to the original version. 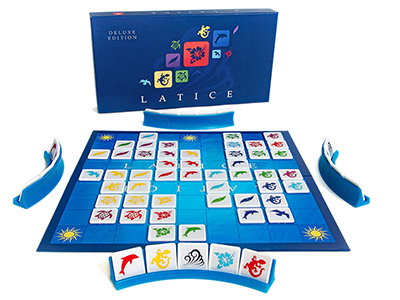 A smart word guessing game for older children. 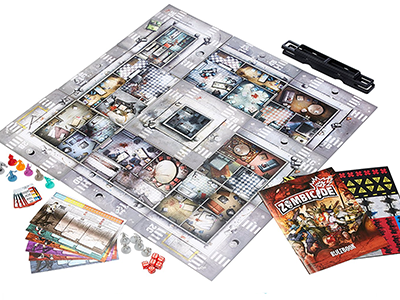 Players choose between different levels of difficulty and place objects next to pictorial images to help others work out the word on their card. Can be played by 10+ people. With Escape Room venues cropping up all over the UK now, why not give kids a head start in a lifetime spent looking for keys for fun. "They work together to complete tasks against the clock. Mine love playing spies and cracking codes," says this dad. Continuing our seasonal theme, this playlist is perfect for getting cosy as the temperature outside drops. 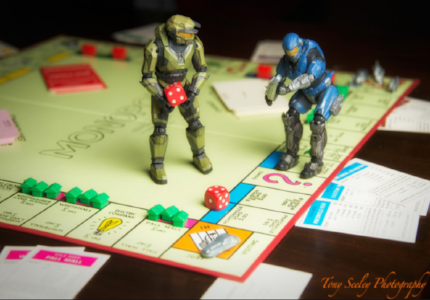 Board games are a terrific way to bring families together, but in the spirit of family togetherness remember, it’s just a game... To keep flare-ups at bay, pop on our ‘Autumn Walks’ playlist for an ambient and, most importantly, calming soundtrack. Our new podcast "Kids and Technology: Tactics For Digital Weaning" is on Kinfo, presented by Noel, a parenting expert and best-selling writer. She shares her recommendations for a calmer, happier and easier family.